Built for light off-roading and casual driving, this Land Cruiser is ready to kick up some dust on our client’s farm near Topeka, Kansas. 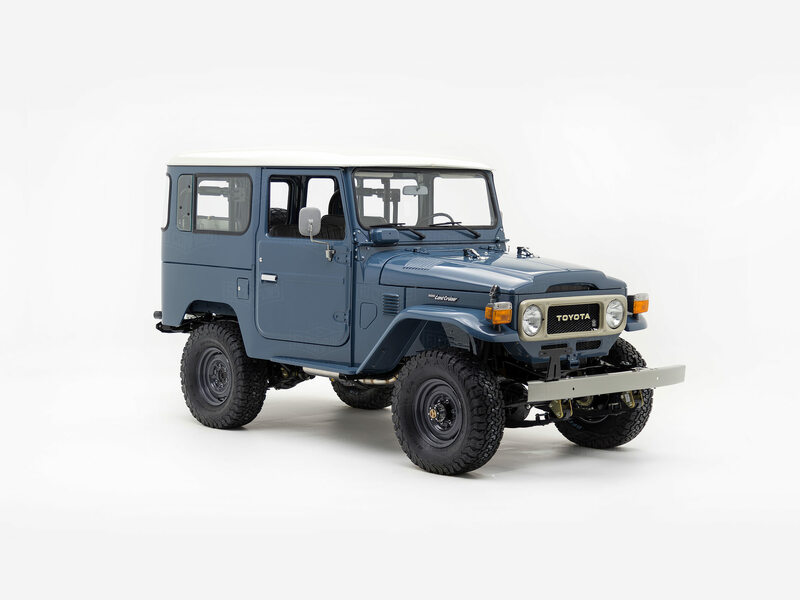 Cadet Blue is a Toyota factory color, and here, it creates a commanding presence with the Land Cruiser’s exposed bolts, iconic lines, and heavy rubber. The Land Cruiser has proven itself on the world’s toughest terrain with its legendary off-road capability. Here, we’ve preserved the best of this Cruiser’s inner beast and upgraded the engine to a fuel-injected 1FZ. To balance out all of that extra power, we upgraded the power steering, brakes, and suspension for added control. Once you’re behind the wheel of this classic ride it’s easy to lose yourself in all the classic details that make this a Land Cruiser. The retro knobs and controls, the stitching of the vinyl upholstery, the metal dash. But beyond this ride’s classic veneer you’ll also find all of those modern features most driver’s don’t want to live without: climate control, Bluetooth, and a built-in sound system.